Head injuries have affected people for a long time in the realm of healthcare, but with advancements in the medical field, there have been more methods for identifying, diagnosing and treating the many different types of head trauma that can occur. The effects of brain injury are complex to not only the person experiencing it, but family, friends and caregivers too. It’s not as simple as a head bump: traumatic brain injuries affect 1.7 million Americans each year and in so many different ways. March is National Brain Injury Awareness Month. So, how do we raise awareness? There are a lot of factors to think about when it comes to brain injury awareness. Advocating for brain injury education is so important not only for those who are dealing with a brain injury directly, but for everyone. Traumatic brain injury requires education and advocacy, but additionally the main focus can begin with trauma care, rehab, management and other specific and individualized services for support. We're breaking down the basics. Brain trauma occurs when there’s a blow to the head, or a sudden impact to the skull, resulting in damage to cognitive, behavioral and physical function. The damage can be temporary or permanent, depending on the injury itself and the trauma that occurred, where it occurred on the head, as well as the neurological response to the injury. What are the different kinds of injuries that can occur? There are different levels of injuries to the brain, depending on what trauma has occurred. The most common causes of an acquired brain injury are a hit to the head, oxygen deprivation, or disease. Concussions are the most common type of brain injury and most cases are considered mild. However, over time, multiple concussions can build up more damage in the brain, changing the status from mild to severe. A mild brain injury can mean that only a brief change in consciousness or mental status happened, while someone with a severe brain injury could experience amnesia or prolonged lost consciousness. Additionally, injuries don’t just occur from a car accident or fall, as one may think. According to an article in the Clinical Journal of Sport Medicine, as many as 3.8 million concussions occur in the USA per year during competitive sports and recreational activities; however, as many as 50% of the concussions may go unreported. Athletes, particularly those in boxing, football, hockey, rugby, soccer and basketball, can experience multiple concussions and blows to the head, resulting in increased odds of post-concussion syndrome (PCS). How do you diagnose a traumatic brain injury? Usually an MRI is used to help diagnose the trauma and pressure within the skull, but there are also signs and symptoms to look out for. Some common symptoms include: unequal pupil size, frequent headache, loss of motor function, loss of consciousness, memory trouble, lack of concentration, slurred speech, blurred vision, convulsions, and alexithymia. Alexithymia: A personality construct characterized by the inability to identify and describe emotions in the self. Main characteristics of alexithymia are dysfunction in emotional awareness, social attachment, and interpersonal relating. People with alexithymia have difficulty in distinguishing and understanding the emotions of others, which can lead to ineffective emotional response. It can be triggered by post-traumatic stress disorder (PTSD) and traumatic brain injuries. 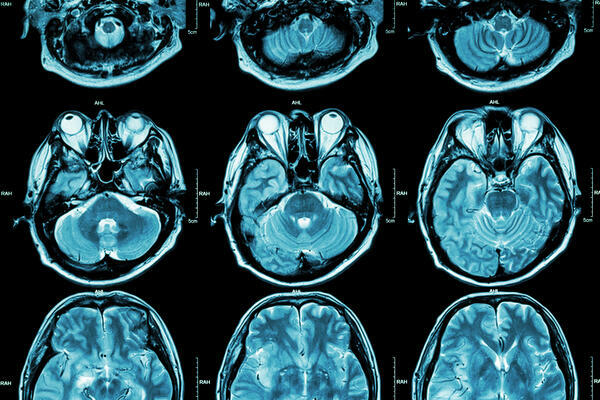 What happens to someone after they have a traumatic brain injury? So many different types and levels of brain injury can mean that there are a lot of outcomes. What happens really depends on the severity of the injury and the location of the injury, as well as the amount of times someone has had a brain trauma occur. (Think: Someone who plays sports with repeated head blows or falls.) Severe injuries can result in changes in thinking, memory, behavior, balance, emotions, movement, and the ability to care for oneself, so physical therapy, speech therapy, recreational therapy, and occupational therapy are all methods that can be used to help treat a person who has experienced a brain injury. Where can families turn for help and resources? Each category offers FAQs, information on what to expect, resources for webinars, training guides, and donation and event info. Check it out here. Get educated. There is always more information to learn on traumatic brain injuries. Do some research and click around on the internet to find personal stories, blogs, advocacy sites, articles and other resources. When you’re educated about the subject, you can help educate others. Raise awareness through literature. The Brain Injury Association has a ton of free, downloadable literature and resources that you can send via social media, email, or even print out and distribute or display. Check out this years campaign collateral here. Go viral. If you’re a social media maven, you can spread awareness by posting your support on social media or reposting a blog, a brain injury advocacy website, the literature mentioned above, or events hosted in your area. Host a speaker. Words and personal stories can be powerful tools to spread awareness. You can host your own event and invite speakers to your workplace, community association, or a service organization. Contact your state chapter of the Brain Injury Association of America to find speakers in your area and to see what events they may already have planned. Fundraising. Donate your own money, host a local fundraiser or create a fundraising page to help someone who has had a traumatic brain injury. A little money can go a long way in helping families of those having to face the aftermath of a brain injury. Join the #ChangeYourMind awareness campaign. The #ChangeYourMind campaign is the theme for 2018-2020 and gives people a platform to spread awareness, education and knowledge about the affects of brain injury and the needs of people with brain injuries and their families. Additionally, it helps relieve the stigmas of brain injury and helps promote support to those who need it. Watch the short campaign video and join the campaign here. Stay tuned for our upcoming podcast interview with Heather Wagar. We discuss the ins and outs of working at QLI, on the job moments, and her perspective of working with people who have had a traumatic brain injury. Tune in the last week of April! We’ve written some other blogs about how your brains works too! Check out Why Your Brain Is Trying To Tell You to read more about brain behaviors and reactions.